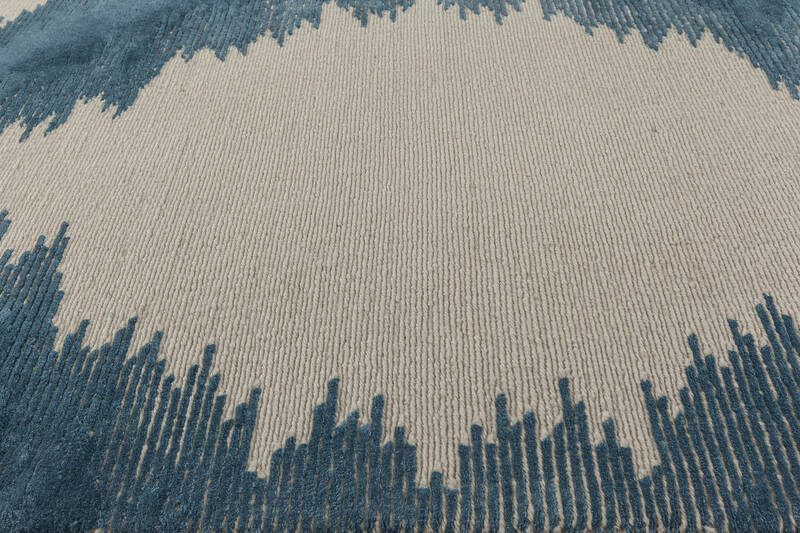 This beautiful contemporary carpet runners is performed with the use of various weaving techniques. 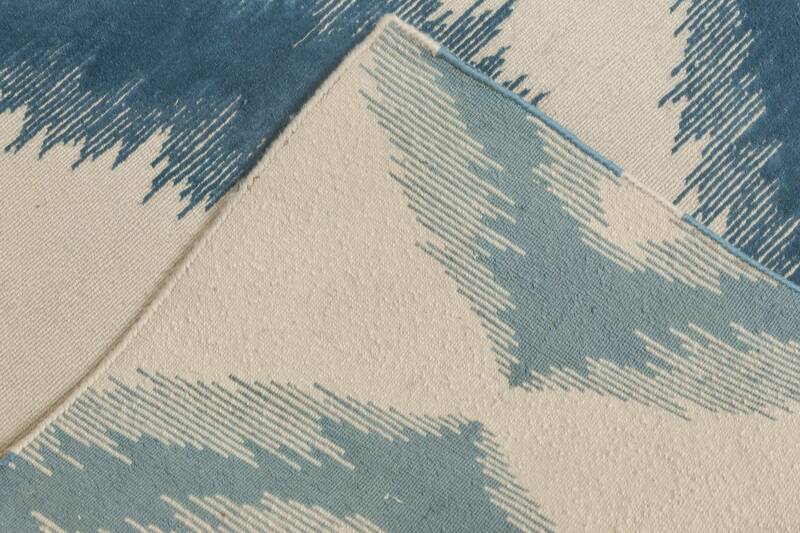 Off-white background is flat-woven with woolen fibers, while the figures in dark blue combined with oval and diamond shapes are examples of a pile-weave. 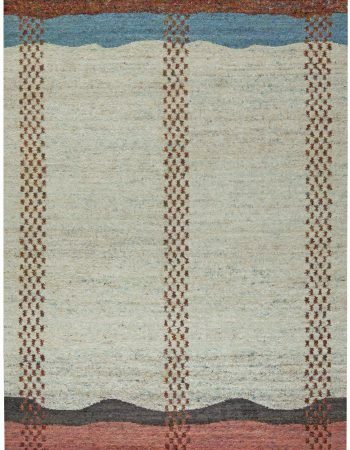 Touching of this woolen carpet brings truly pleasant impressions of softness and variety at the same time. 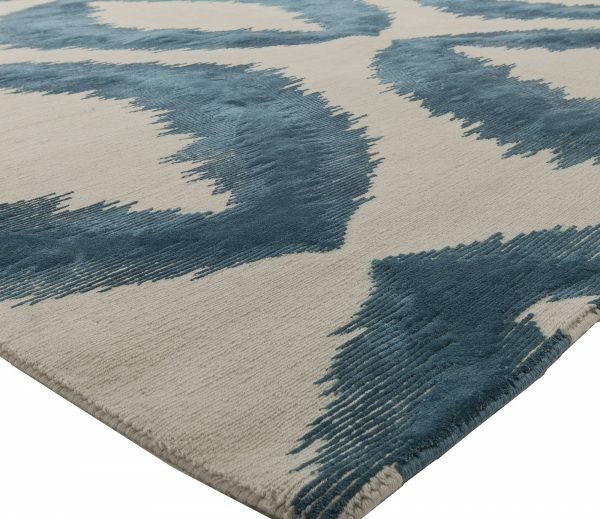 Five vertical rows of highly original circular seashell-like figures in a vivid shade of blue make this item match modern interiors as well as traditional houses. 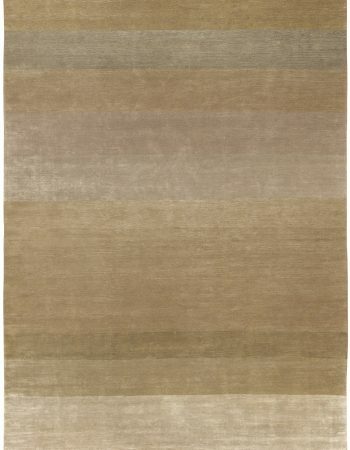 Give this oustanding elongated mid century modern rug a chance to enchant your place. You can succesfully form your space using this very item. 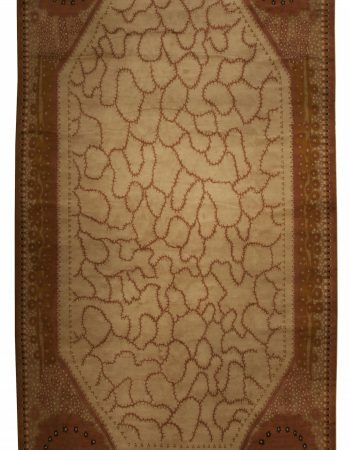 The powerful pattern of this luxurious hand-made geometrical rug brings to mind mysterious conundrums of nature with the logic of its scheme. Huge oval-like shapes in color of extinguished indigo and lighter blues, organized in vertical alternating groups are coming in as masterly woven silky places outlined with beautiful blurred contours. 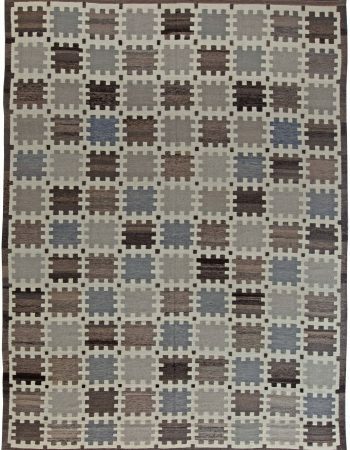 The woolen, pile-woven setting maintained in a bright shade of gray simply enchants with its smooth surface. 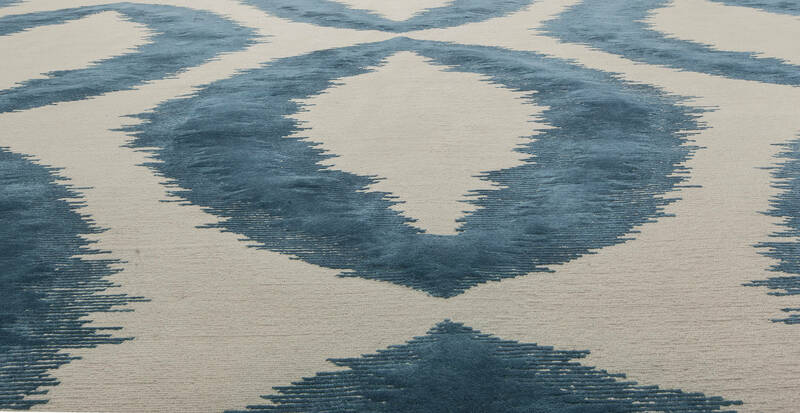 Looking like a macro, this exceptional elongated carpet is a real treasure for the design of your house. 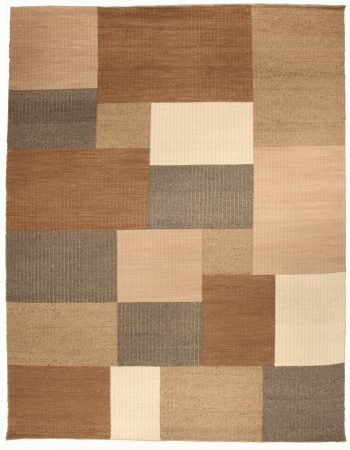 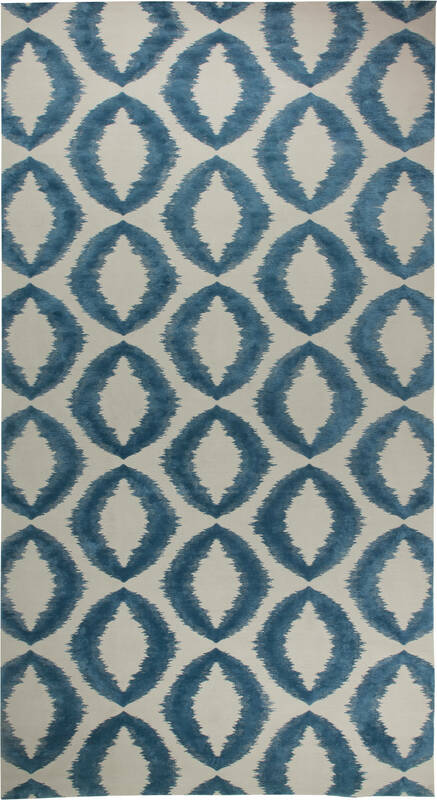 Mesmerizing like an optical illusion and chic – it’s a great rug!